If you are reading this blog post then you are probably doing just about everything you can to prepare your home for sale. If you're selling your home in Palm Desert, Palm Springs, La Quinta or surrounding areas, there are some ways to prepare your home ahead of time. This is what buyers look for and what homeowners should repair, replace or fix before selling. #1. Any structural or mechanical errors. Buyers are looking at the big ticket item such as age and condition of the roof, heating and cooling systems, electrical issues, plumbing, and water heater. Make sure all of these mechanical issues are done correctly and are safe. 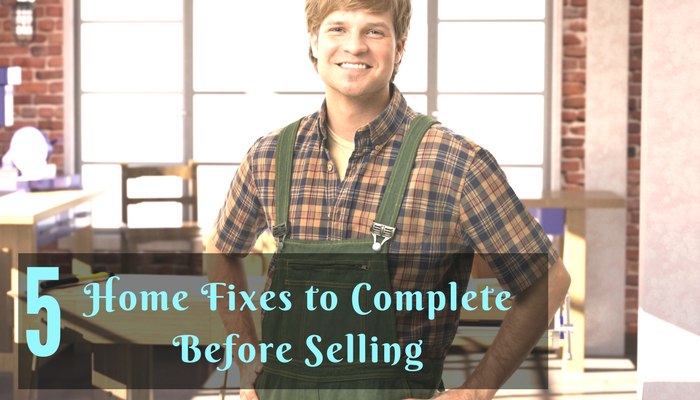 If anything needs replacing or repairing, do this before listing. Does your home have any wood rot? Are there any stucco cracks that need attention? Because buyers will see the outside of your home before the inside, those first impressions need to be amazing. Correct any exterior siding or home issues before listing your property. If the home looks like it hasn't had a landscaping facelift in 10 years, it's time to put a little bit of elbow grease into the outside. Again, buyers will see this first, whether it's in listing photos or a drive-by, so make it amazing. Make sure there are no weeds growing through the rocks and that pathways, stairs, and front porches are clean and clear. Buyers don't want to see a ton of little repair issues that need to get done such as a small hole in the wall, hole in a screen, leaky faucet, shredded door jams, missing closet doors, or dirty window seals. These little details can stand out like a sore thumb so make sure that all these little cosmetic issues that might be glaringly obvious to buyers are taken care of ahead of time. #5. Kitchen and bathroom issues. The kitchen and bathroom are always a huge thing for buyers. Make sure that the home is updated, fresh, clean, and clear. You don't want a lot of items on countertops or cluttering up cabinets or closets. Clean things out, make sure it smells fresh and inviting, and repair any errors or issues that the kitchen or bathroom may have. By taking care of these five major areas of your house you can be light years ahead of your competition when it comes to selling and getting offer on the table. Give us a call today if you have specific questions about selling your Palm Desert area home and how we can stage and prepare your property for a fast sale.